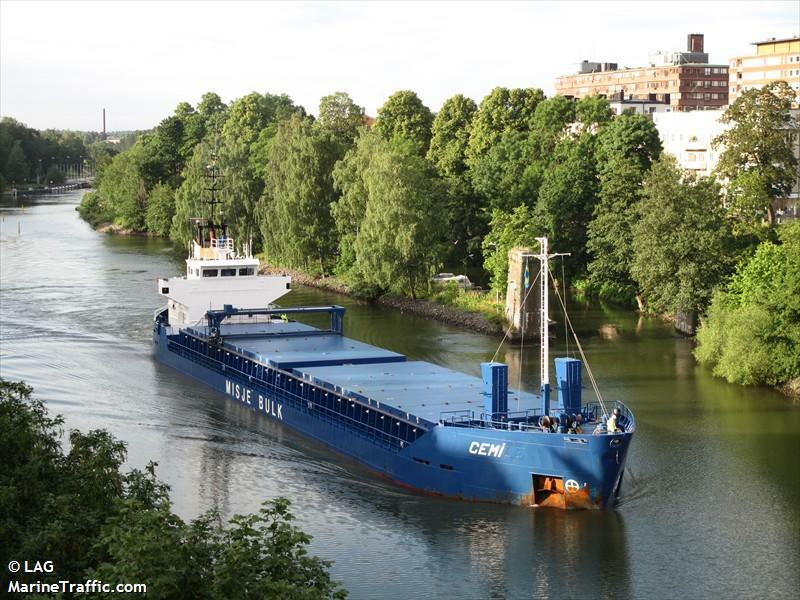 The 4270 dwt freighter Cemi became disabled off Egersund when its engine suffered a blackout. The Cemi was heading to Vlissingen from Glomfjord with a cargo of 3,300 tons of fertilizers. The Cemi was taken under tow by the reefer vessel Fenja and is heading for Stavanger. No reports to the cause of the blackout. The 710 dwt motor vessel Arctic Sunrise was damaged while in heavy seas. The Arctic Sunrise while trying to cross the Atlantic Ocean from Boston when it was diverted to St. Johns, Newfoundland. In heavy seas, a container broke free in the hold and was sliding around in the hold with the heavy seas. The container damaged several systems on board requiring repairs in St. Johns. The Arctic Sunrise was sailing to Amsterdam, Netherlands, for upgrades.